ALAMO, RGV – The Texas Civil Rights Project and Fuerza del Valle Workers’ Center held a news conference on Labor Day to announce a recent court victory against local restaurant chain involved in unpaid labor practices. More than $108,000 was ordered to be paid to two plaintiffs, Juan Manuel Garcia and Alejandro Garcia Moreno, in a summary judgment issued by U.S. District Judge Micaela Alvarez for unpaid wages and damages. At the news conference, held at the Texas Civil Rights Project office in Alamo, Texas, workers and community members reflected on Labor Day and the effects of their recent workers’ rights victory in the court. Efrén Olivares, regional legal director for South Texas with the Texas Civil Rights Project, said he hoped the litigation, which was led by the Texas Civil Rights Project and the Fuerza del Valle Workers’ Center, will help bring justice to workers in the Rio Grande Valley who continue to face abusive workplace practices and wage theft. He said the court victory sends a clear message to employers across the state that all workers, regardless of their immigration status, must be treated with dignity. 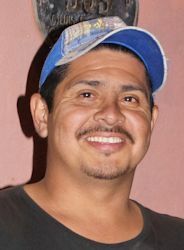 Hector Guzmán López, an oganizer with the Fuerza del Valle Workers’ Center, agreed. “For years Fuerza del Valle Workers’ Center has been documenting labor abuse in the Rio Grande Valley and supporting working families in their struggle to win back wages and dignity on the job. On this labor day we applaud the work of Garcia & Garcia and the Texas Civil Rights Project in litigating this lawsuit in favor of two restaurant workers, Alejandro and Jose Manuel,” Guzmán López said.